It may be the littlest baby of the family, but the Audi Q2 1.0 makes better sense with its cheerful personality and more financially-prudent pricing. 3 out of 3 (100%) reviewers said they would recommend this vehicle to a friend. Bought my white Audi Q2 1.4 turbo TFSI engine last month and it appeared to be one of the best decisions I've made. Traded in my 5 year old BMW 5 series for this and to be very honest, I was initially concerned with the space. I owned a Mini Cooper and 3 series before this. The Q2 of course cannot be compared to the cabin space of a 5 series. But I wanted something fun and zippy to drive. Something with power that looks great on the road and at the same time fun to drive without being a fuel guzzler. Reviewing this from my experience, I'd say the Q2 has the best of both worlds of both the trendiness of the Mini Cooper and the moderness and style of an Audi. It's simply the most fun car I've driven! Superb handling on the roads. Interior cabin is kept simple so if you're looking for something techy and elaborate then you might consider the highest end model. Fuel economy is one to beat. This week I drove 179km on just one bar (out of 8 bars) of petrol. Full tank about $90. Love the exterior daytime headlights as well as the interior mood lighting that allows you to play with lights (just like my old mini). Not to mention the fantastic sound system made by B&O. Fits 4 comfortably. 5 would be a squeeze. Good enough for me if you're mostly a solo driver like me. All in all, if you're looking for a stylish yet fun car from a renowned brand that ticks all the right boxes and will not burn a huge hole in your pocket, the Q2 is the one for you. Check out this quirky looking hatch. To be honest, when I first laid eyes on it I wasn't sure what I felt about its design. It looks so weird. But the more I look at it, the more I'm starting to love it. Beneath its exterior, the Q2 really surprised me. I expected it to be slow and handle poorly but it's actually pretty punchy and handles like a hot hatch. This baby stands out wherever you go, it doesn't look like other Audis, packs some punch and handles pretty damn well. Good job Audi. The Audi Q2 is a real joy to drive. The four-pot turbocharged 1.4-litre cylinder-on-demand engine puts out some low end punch, perfect for overtaking and city driving. The compact crossover handles like a hot hatch too. Swerve it around corners and it feels composed and firmly planted. Needless to say, the compactness of the Q2 makes it easy to drive around SG and easy to park in tight spaces. Another thing that I like, some may not, is the quirky/funky design of the Q2. It stands out from other cars in its segment and is quite refreshing to look at.  Authorised Distributor Audi cars are Audi A3 Cabriolet Reviews, Audi A3 Sedan Reviews, Audi A3 Sportback Reviews, Audi A4 Avant Reviews, Audi A4 Sedan Reviews, Audi A5 Cabriolet Reviews, Audi A5 Coupe Reviews, Audi A5 Sportback Reviews, Audi A6 Reviews, Audi A7 Sportback Reviews, Audi A8L Reviews, Audi Q5 Reviews, Audi Q7 Reviews, Audi Q8 Reviews, Audi R8 Reviews, Audi RS4 Avant Reviews, Audi RS5 Coupe Reviews, Audi S3 Sedan Reviews, Audi S3 Sportback Reviews, Audi S4 Avant Reviews, Audi S4 Sedan Reviews, Audi S5 Cabriolet Reviews, Audi S5 Coupe Reviews, Audi S5 Sportback Reviews, Audi SQ5 Reviews. Parallel Imported Audi cars are Audi A5 Cabriolet Reviews, Audi A8 Reviews, Audi A8 Diesel Reviews, Audi Q3 Reviews, Audi Q5 Reviews, Audi Q7 Reviews, Audi Q8 Diesel Reviews, Audi S5 Cabriolet Reviews. sgCarMart is the number one car site for buying Singapore cars, including new cars, parallel import cars, Toyota, Honda, Nissan, Volkswagen, Mitsubishi & BMW. 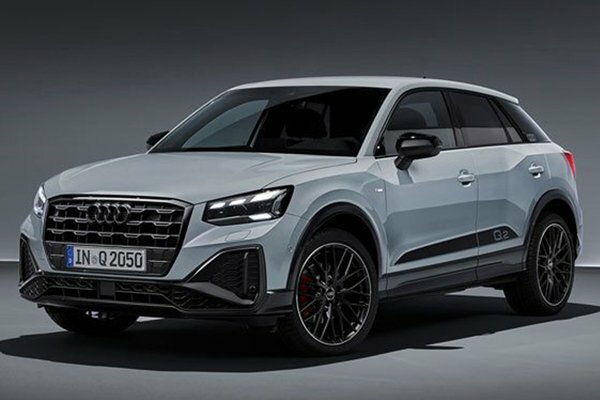 We have new car dealers comprising parallel importers, authorised car distributors, and used car dealers who have the New Audi Q2 latest price Find new car pricelists, new car launches, new car promotions, new car reviews, latest car news & car articles. Read the New.Audi Q2 consumer reviews to help you decide on buying a car. Also join our car discussion and forum discussion for car reviews, motoring news & motoring guides. Visit our partner sites who have job openings for Singapore jobs, Singapore classifieds, mover and real estate properties for sale.